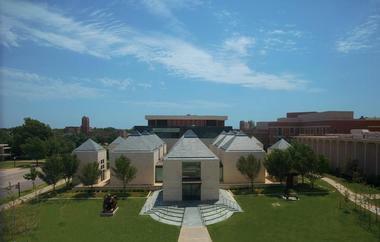 Home to the University of Oklahoma and the Fred Jones Jr. Museum of Art, Norman, OK allows visitors to appreciate the works of Monet, van Gogh, and Renoir in the museum collections. Visitors can enjoy many activities and attractions, from shopping and dining to museums and historical sites in Norman, Oklahoma. With a vision of inspiring appreciation of the earth and its peoples, the Sam Noble Oklahoma Museum of Natural History has been a part of the University of Oklahoma since 1899. The museum conducts scientific investigations to preserve and develop a greater understanding of human cultural heritage and natural resources. Visitors of all ages can explore the exhibitions and programs developed from these findings. 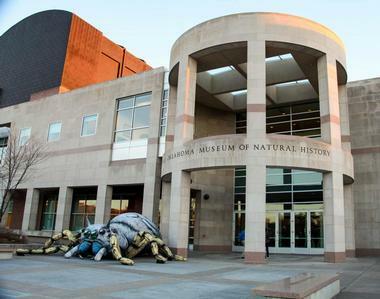 Over 50,000 square feet, the museum has over 10 million artifacts that trace over 500 million years of Oklahoma’s history. Some of the interesting specimens include a meteorite, two-foot wide dragonflies, and a walk-through limestone cave. A part of the University of Oklahoma, the Gaylord Family-Oklahoma Memorial Stadium opened in 1923, and it is one of the most recognized college football stadiums in the US. Ranked among the 15 largest on-campus facilities in the nation, the stadium also ranks as the largest sports arena in the state. The stadium can hold 82,112 people, and visitors come from all over to attend numerous sporting events, from basketball and baseball to gymnastics and of course, football. 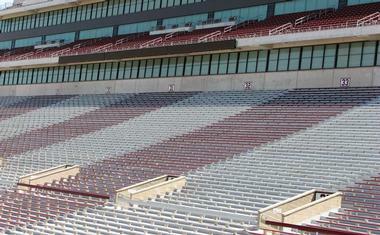 Visitors can walk through the halls where Sooner legends once walked and view memorabilia and other displays dedicated to the many years of events the stadium has held. The Fred Jones Jr. Museum of Art started with one class, minimal supplies, and one man’s dream to direct an art school that would nurture students, allowing them to their fullest potential. Oscar Jacobsen, who became Director of the School of Art in 1915, began slowly collecting works of art as soon as he was able. 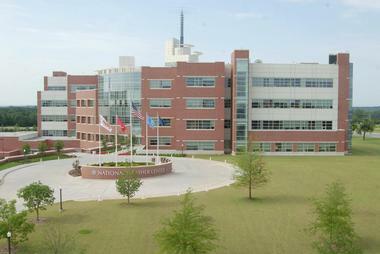 Over 250,000 square feet, the National Weather Center consists of over 550 operational meteorologists, research scientists, climatologists, technicians, engineers, support staff, and graduate and undergraduate students of The University of Oklahoma. Together with the National Oceanic and Atmospheric Administration, the National Weather Center aims to better understand the Earth’s atmosphere and the natural events that occur. Visitors are invited to explore the center, from the National Severe Storm Laboratory or the NOAA/NWS Storm Prediction Center. There is also an outdoor classroom and weather observation deck for visitors to discover. Tours for visitors of all ages can be scheduled in advance to ensure a spot. 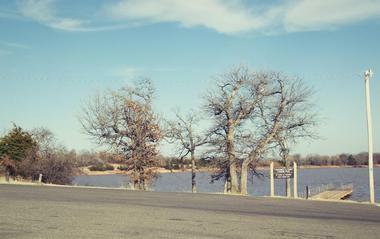 For a day of water sports and fun activities under the sun, visitors of Norman, Oklahoma can turn to Lake Thunderbird State Park. 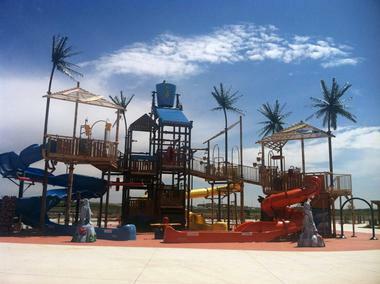 Boasting two marinas, the Calypso Cove and the Little River Marine, the park also has two beaches designated for swimming for those looking to cool off. Other facilities include numerous boat ramps, RV sites, restroom facilities, campsites, playgrounds, an archery range, and picnic areas. Visitors can spend the day riding the equestrian trail, hiking, or mountain biking; there are designated areas for deer archery and waterfowl hunting for visitors to participate in during the appropriate seasons. 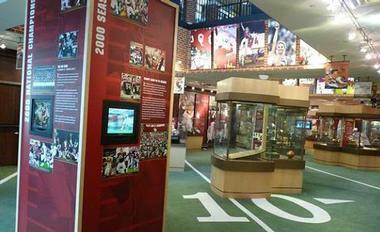 Inside the halls of Legends Lobby, visitors will find themselves in one of college football’s greatest shrines. Located in the Barry Switzer Center, the lobby allows visitors to explore an area filled with displays dedicated the Sooner’s accomplishments and rice history. 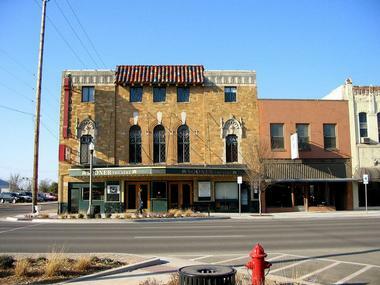 The Firehouse Art Center is a non-profit organization that has been offering Norman’s citizens and visitors an escape to fine arts and culture since 1971. 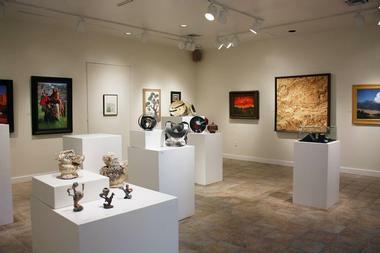 The center provides visual art classes and gallery exhibitions, and visitors can also participate in classes such as ceramics, painting, drawing, sculpture, stone carving, jewelry construction, and fused and slumped glass. Visitors are urged to explore the working studio spaces and get to know local artists and their work. It is also an opportunity for visitors to better understand an artist’s creative process and development. 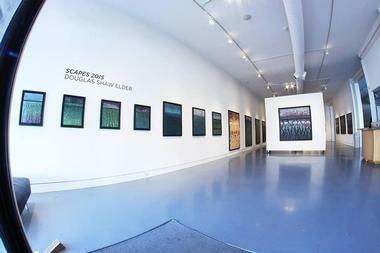 The center hosts an array of evolving gallery exhibitions throughout the year. Come to Andy Alligator’s Fun Park and Water Park if you want to spend the day trying out bumper cars, go carting, and spend the day on a whole range of theme park rides. If you like climbing then you can challenge yourself to conquer either an indoor or outdoor climbing wall, or you can try out your baseball skills at the batting cages. A much loved part of the city of Norman, the Historic Campus Corner District has been standing since 1917, and is known for its cluster of shopping outlets that feature some of the best local products in the region. Aside from shopping, visitors here can experience a range of dining opportunities, as well as nightlife in the form of live music and a vibrant bar and cafe culture. 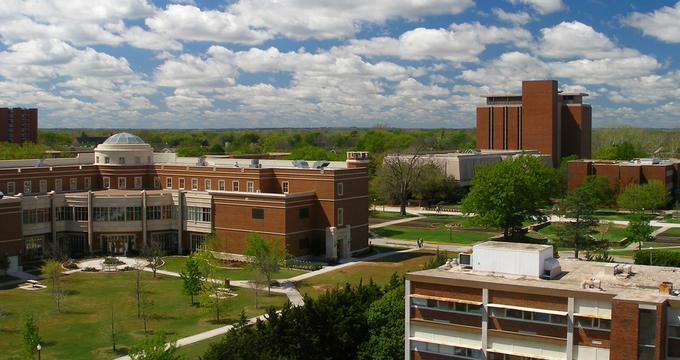 There are events throughout the year such as art showcases and sports events that are twinned with the University of Oklahoma, which is located nearby, so if you want to witness a slice of local university life in Norman, then this is the perfect place to visit. Fun for all the family is nearer than you think with a trip to HeyDay Entertainment, which has everything you need for the perfect day out. There are bowling alleys if you want to get in a few games. If you want something more adventurous, then why not choose Laser Tag and try to tag as many opponents as you can? You can test your agility on the rope course or the laser maze, or simply play all your favorite funfair games at the arcade. There is even a mini golf course for all age groups to enjoy, and if you get hungry after a busy day of fun and games, then you can choose from the range of dining options onsite. There is even a bar area called the Hangout if you fancy a cocktail. Whether you are a climbing aficionado or want to try it for the first time, Climb UP has everything you need. There are climbing walls for all abilities and ages, from children to adults, and all instructors are fully certified to ensure that you can climb with confidence and peace of mind. Climb UP is fully climate controlled so that you get the best experience whatever the weather outside, allowing you to enjoy year round climbing. 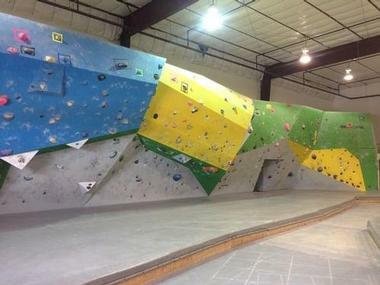 You don’t even need to sign up for a pre-arranged class at Climb UP, as training is offered on a walk-in basis. You can come and indulge your climbing obsession whenever the mood takes you. If you want to catch a show in Norman then look no further than the Sooner Theatre, a local powerhouse of productions that involves actors, directors, and crew from the region and showcases the best of Oklahoma talent. Regardless of the time of year, you will find dynamic shows on offer from an every rotating line up, and these don’t just include theatrical performances; there are also musical concerts and dance shows. If you want to tread the boards themselves, you can even sign up for acting workshops or summer camp at the Sooner Studio, which is part of the Sooner Theatre. 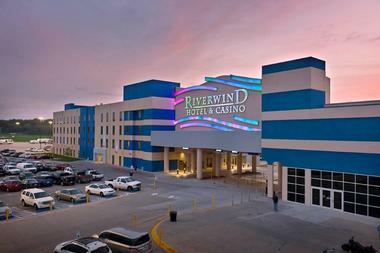 Riverwind Casino is a premier destination for entertainment and games. Filled with thousands of electronic and table games, the casino lets visitors try their hand at a high-stakes blackjack game, take part in one of the weekly poker tournaments, or wager on a horse in the off-track betting area. There are over 2,700 electronic games in the casino, including the popular Wheel of Fortune, Wizard of Oz, and Dirty Dancing machines. If you love bowling then you can’t miss a trip to Sooner Bowling Center, something of a fixture on the Norman bowling scene – it has been in business for over 30 years. Sooner Bowling Center has a range of bowling options, including open play where you can choose from several different packages according to number of players and length of time bowling, as well as catering to parties, holding corporate events, and hosting league tournaments. If you are feeling famished after a busy afternoon of bowling, you can grab a snack such as pizza, loaded fries, or bowling alley burgers. Sooner Bowling Center is a family owned business dedicated to making sure that you enjoy the best bowling experience in Norman. Located near the picturesque Lake Thunderbird in Norman, Oklahoma, this winery invites visitors to spend the day at their tranquil vineyard. It promises a great way to spend a day with family and friends, and visitors can enjoy a relaxing afternoon on the patio tasting wine while overlooking the vineyard and farm pond. 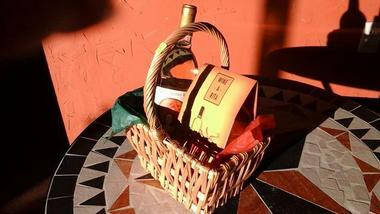 The winery specializes in Cabernet Sauvignon, Syrah, and Riesling, which is made from grape vines grown in the vineyard. 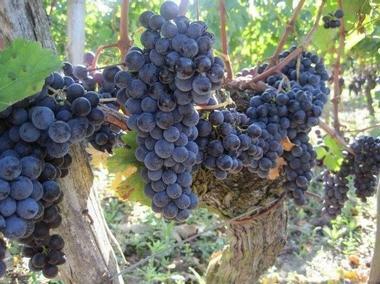 There are also many other dry red, dry white, sweet white, and sweet red wines to taste. Whether taking a leisurely walk through the vineyard, browsing the gift shop, or testing in the tasting room, visitors will have a wonderful time at the Native Spirits Winery. 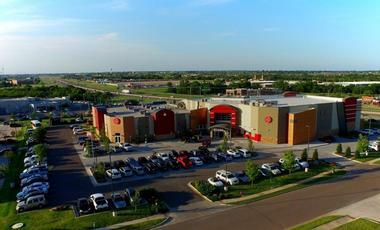 Gaming, entertainment, and fine dining can all be found at the Thunderbird Casino. Visitors will be at one of Oklahoma’s finest gaming destinations filled with friendly personnel, popular table games such as blackjack and poker, and hundreds of classic and new slot machines, including Wheel of Fortune and the Wizard of Oz. Visitors can spend the day risking it all and going for the win! If they’re not in the mood for gambling, visitors can spend their time enjoying one of the many entertainment options scheduled, from concerts to stand-up comedy or dining at one of the many restaurants. Goldsby Gaming Center offers you everything you could want in the way of casino games and is open round the clock, seven days a week, to give you even more time to try your luck and perhaps win big. 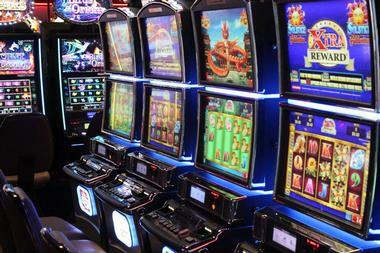 The casino spans 23,000 square feet and offers over 300 games for you to try. If you fancy some food, then you can head to the Goldsby Grill, or there is a bar and television area if you want to relax between games. 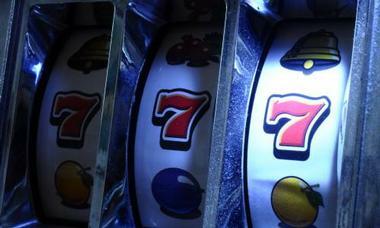 If you enjoy bingo then there is a bingo hall that can accommodate up to 300 guests at a time. You will definitely taste the difference at the Redbud Ridge Vineyard and Winery, the brainchild of Tom Knotts, a self-proclaimed wine aficionado. Redbud Ridge features a dedicated Cabernet vineyard that has been standing since 2002, but Tom has been in the wine business for over 40 years, perfecting the art of wine making in the Norman region. The wines at Redbud Ridge can only be purchased on site, and visitors can tour the winery to learn all about the wine making process and the different blends available. Redbud winery also hosts and leads wine tours throughout the region to share their love of wine with the local community. Visit the Social Club, located in downtown Norman, for a taste of a home away from home. Hailed as a creative space that features a shop and a hair salon, the Social Club is a quirky venue for some pampering and retail therapy. 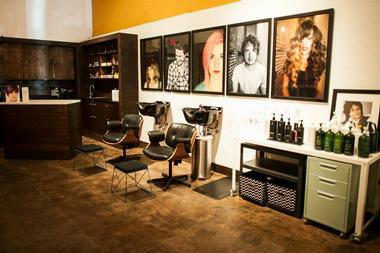 The salon part of the space has everything you need if you are looking for a makeover, and the shop features vintage and unusual pieces, many of which reflect the handicrafts of the local community of Norman. The Social Club also feature events such as music nights, art shows, and coffee mornings, and you are welcome to participate in the monthly 2nd Friday Circuit of Art events that showcase local artwork. 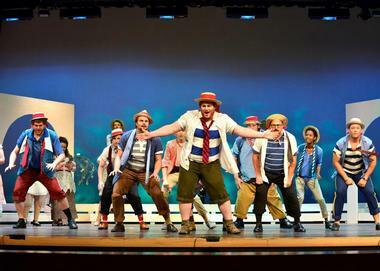 If you want to experience the best of musical theatre in Norman then head on over to the Cimarron Circuit Opera Company and catch one of their fast paced and vibrant shows. The company began in the 1970s and is now hailed as an outlet for artists as well as a source of culture and high quality musical performance for audiences in the region. It has seasonal shows, performances for the local community, and music and dance festivals. 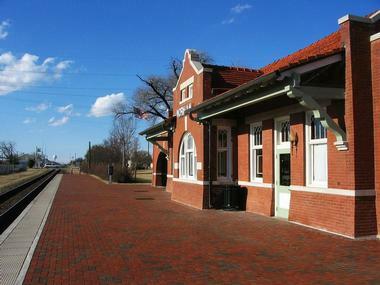 There are also special events such as musical storytelling evenings and twinned performances with the Santa Fe Depot in Norman. If you are interested in art and architecture, tdon’t miss a trip to the Jacobson House Native Art Centre. 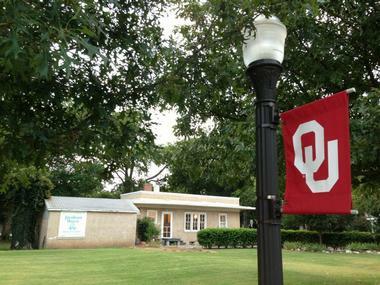 Built in the early part of the twentieth century and the former home of Dr. Oscar B. Jacobson, the house now stands on part of the campus of the University of Oklahoma. Visitors can tour the house and take in the native artwork of the Kiowa Six, a group of local Native American artists who frequented the Jacobson House. As such, the house now showcases traditional Swedish architectural features as well as an eclectic mix of Native American artworks. Owned by the Norman Arts Council, MAINSITE Contemporary Art is a gallery on a mission to present the best of local art through a range of temporary exhibitions that change on rotation every few months. The gallery is packed with works from up-and-coming local artists and mixes all forms of artwork, from installations to performance art. There are also regularly held musical events that feature anything from classical pieces to album release parties of bands from the region. If you visit MAINSITE then expect to find anything from paintings, to photography exhibitions, to print work and sculpture. With a history spanning over 30 years, Norman Ballet Company has some of the best dance talent in the Norman area and wider Oklahoma, so if you want to experience the craft of these up-and-coming performers, then you definitely shouldn’t miss the chance to catch a show here. Norman Ballet Company regularly produces classical ballets such as Cinderella and Coppelia, and The Oklahoma Nutcracker is performed every year during the holiday period to rave reviews, making it an annual event not to miss should you be in the area. There are also dance workshops available, and Norman Ballet Company regularly puts on dance events within the local community to support other organizations and business in Norman. Support the local arts in Norman with a visit to the Norman Philharmonic, whose mission is to demonstrate the musical talents of the region and inspire a shared love of music. 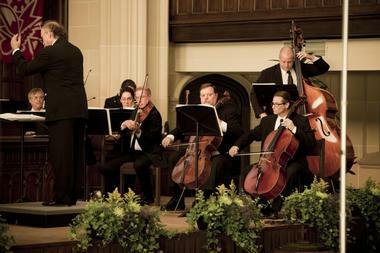 The Norman Philharmonic also aims to entertain visitors and locals alike with a diverse program of musical events that change throughout the year. The Norman Philharmonic also regularly supports the art scene by commissioning pieces from new and established musicians, and there is something for all audiences to enjoy. Not just limited to orchestral works, Norman Philharmonic aims to provide a whole range of musical genres, including jazz and contemporary performances. They also run dedicated musical festivals with other musical outlets in Oklahoma. For serious arts and culture lovers, a trip to The Depot begins as you enter the Santa Fe Train Depot, a historical building in Norman. The Depot holds regular musical performances that span all genres of music and presents poetry readings on the second Sunday of every month. There are also art and creative writing classes available for those who want to dive into the arts themselves, with lectures, seminars, and demonstrations by local artists. If you prefer to just watch, then there are rotating exhibitions that feature everything from contemporary art installations to classical paintings. 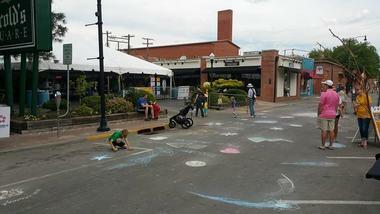 For visitors on a budget, many of the events held at The Depot are available free of charge.